Baby Gaga (ice cream) (named after the American pop singer Lady Gaga) is an ice cream which is made from human breast milk, vanilla and lemon zest. The ice cream was invented by Matt O'Connor, who claims it is a healthy alternative to other ice creams in the bar. The ice cream is sold in The Icecreamists, in Covent Garden, London. The breast milk donors have been medically screened and the milk pasturised. The ice cream went on sale on 25 February 2011. Within a week of going on sale, the ice cream was seized by officers of Westminster Council to test whether it was suitable for human consumption. Lady Gaga has threatened to sue the ice cream seller, but the bar has refused to change the name. O'Connor said, "Of course there are those who think it is obnoxious, but the ice cream is made with natural breast milk, organic and free range." This is cute! Lot's of fun memories! In the U.S., Black infants die at much higher rates than Whites. April is Minority Health Awareness Month. According to the U.S. Census Bureau, the rate for infant mortality was 5.6/1000 for whites and 13.3/1000 for Blacks. The good news is that breastfeeding is helping to close this gap. Free to Breastfeed: Voices of Black Mothers, a new book from Praeclarus Press,seeks to support Black mothers who want to breastfeed their babies. Compiled and edited by Jeanine Valrie Logan and Anayah Sangodele-Ayoka,Free to Breastfeed provides stories of challenges and triumph. It gives visibility to intimate details of the breastfeeding experiences of Black women that have largely gone unnoticed. "Powerful, thoughtful, intriguing!!! The voices of these Black moms are so real that I can feel their presence. If you want to know the truth behind breastfeeding for today's Black moms, this is a must read. As you turn the pages, you will begin to see the faces of Black moms and babies. You will feel their joy, embrace their pain, and cheer for their triumph as the pages take you on a breastfeeding journey of life and family." Jeanine Valrie Logan is a birthworker, homebirth mama, nursing student, and future midwife. Jeanine received her B.A. from Fisk University, and an M.P.H. from George Washington University. She has worked for reproductive justice organizations in South Africa, DC, and Chicago. Jeanine lives in Chicago with her husband and daughter. Anayah R. Sangodele-Ayoka writes and speaks about breastfeeding, maternal health and personal empowerment. She also develops campaigns to promote breastfeeding-friendly communities through policy and public awareness campaigns with MomsRising.org, including Black Breastfeeding Week. Anayah writes for the corresponding blog (http://www.freetobreastfeed.com). She earned a B.A. from Vassar College and is currently a student in the Midwifery/Women’s Health Nurse Practitioner program at Yale University School of Nursing. She is married with two children. Is breast milk only for babies? You betcha there’s a surprise in this milkshake! If you dare, use your own milk for a shake — we suggest chilling it in advance. Mix 1 cup breast milk, 8 ounces frozen strawberries, 3 ounces orange juice concentrate, 1 cut up frozen banana, and 1 cup pineapple chunks in a blender until smooth. Serve, sip, and see what it’s like to drink human milk. 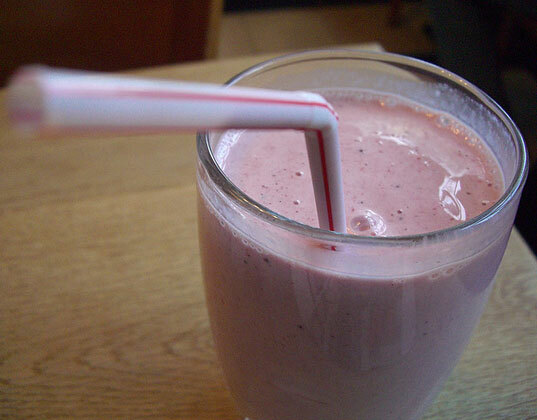 You can also check out this video recipe for Rosie’s Breast Milk Smoothie. When we first told you about Daniel Angerer’s breast milk cheese, the New York City chef and dad was at the forefront of the breast milk cooking craze. He added cheese made from his wife’s breast milk to his menu, stirring up plenty of controversy and curiosity. Try his recipe and read our previous post to learn more about why he chose this possibly-too-close-for-comfort, locavore ingredient. With the cupcake craze still going strong it’s no surprise that many brave mommy bakers have dabbled with using their breast milk for quirky cupcake creations. Jasmine Marsh, a birth and postpartum doula, modified a vegan recipe to create her Breast Milk Chai Latte Cupcake recipe, which you can find on her blog Doula Right Thing. We also found a recipe for Vanilla Breast Milk Cupcakes with Strawberry Frosting. Abi Blake, the self-proclaimed “Nigella Lawson of breast milk cookery” has become a bit of a legend when it comes to cooking with human milk. In defense of her favorite ingredient, she says, “Although the idea of eating something made out of someone else’s breast milk may make some people’s stomachs turn, it is full of vitamins that can never be found in cow’s milk.” Okay. But lasagna, really? Blake sells her comfort food including lasagna, cheesecake, tarts and smoothies at festivals with much fanfare. 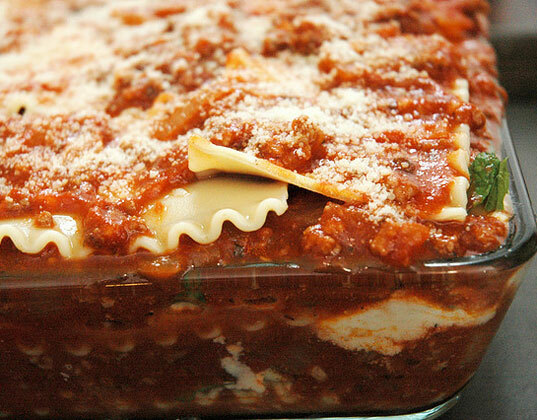 She hasn’t revealed her personal recipes, but the strategy remains the same — when a recipe calls for milk or cheese, replace it with breast milk or breast milk cheese and wallah you have breast milk lasagna. 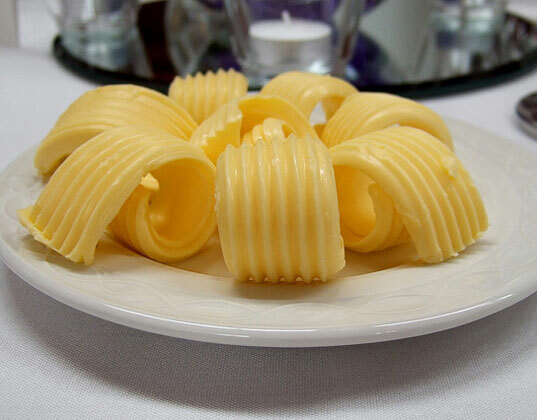 Who knew you could turn your own breast milk into butter? All you have to do is put an ounce or two of breast milk in a sterile jar, screw the lid on tightly and shake, shake, shake until you have butter. If you love undeniably creamy and comforting risotto, why not add the comforting extra ingredient of mom’s breast milk? Psychologist Dr. Wendy Walsh tried it and shared her story on Momlogic. 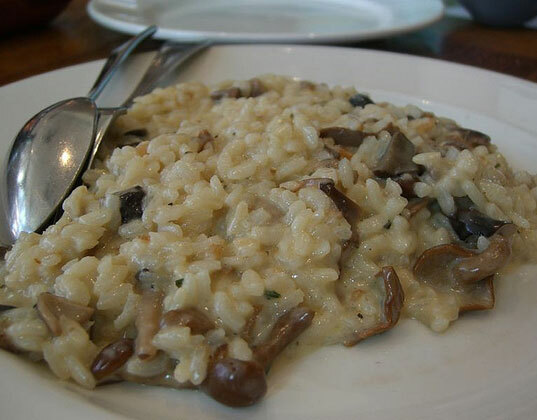 She “accidentally” used breast milk instead of cream in her rich mushroom risotto that she was preparing for dinner guests. Surprisingly, her mom-made meal didn’t scare away the party. Using breast milk to create Popsicles isn’t so much a shock as it is an awe-inspiring idea for teething babies. Try Mother-2-Mother’s instructions for creating plain breast milk pops, or add fruit or fruit juice for added flavor and fun. This recipe calls for your breakfast to soak in breast milk overnight. Start by lightly coating a shallow 2-quart baking dish with vegetable spray. Arrange 5 slices of bread inside. Combine 1 1/2 cups breast milk, 2 large eggs, plus 4 large egg whites, 1/3 cup firmly packed brown sugar, 1 teaspoon vanilla extract, and 1/2 teaspoon ground cinnamon, mixing with a wire whisk. Pour half over the bread. Layer 5 more slices on top, and cover with the rest of the egg and breast milk mixture. Refrigerate overnight. Bake 30 to 35 minutes at 350 degrees. Optional: Drizzle caramel sauce and fruit over top before serving. If you’ve ever made yogurt before, you know the process can be time consuming. When using your own breast milk, the process remains the same, plus add a few extra minutes for pumping. 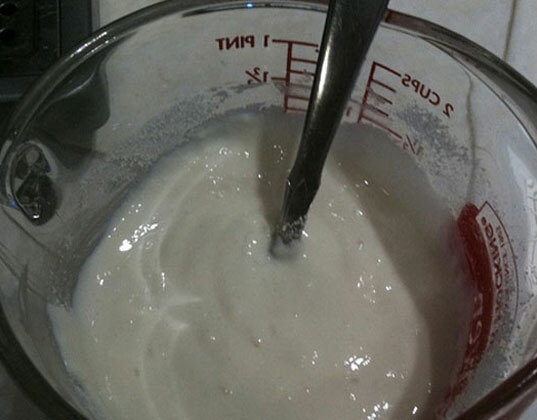 We found a yogurt recipe from a reader on Food.com that calls for breast milk that’s worth a try. The creator of this recipe intended the result to be fed to babies, but you of course, can decide if you dare to indulge. What can you do with 2.5 cups of warm breast milk? StorkNet suggests making a bread starter, which you can later use to bake delicious dinner rolls or a loaf of fresh bread. You’ll also need 1 package of active dry yeast, 2 cups all-purpose flour and 1 tablespoon sugar. Follow her on Twitter @julieseguss for green and healthy living tips. Thanks to one of the latest scientific discoveries, babies could soon drink a bottle of “human” milk produced from cows instead of being breastfed by their mothers. Once again scientists have been tinkering with genetic modification — researchers at the China Agricultural University bred 300 cattle with human genes so their milk contains the same beneficial and unique nutrients and fat content as breast milk. For moms unable or unwilling to breast feed, the scientists believe this new human milk from cows could offer an alternative to infant formula. Not to mention the fact that many individuals are already choosing milk that comes from cows not treated with rBST, recombinant bovine growth hormone. So it’s hard to say whether or not milk buyers will agree that cows pumped with human genes will produce safe milk — safe enough for their babies — even if it does offer some of the same benefits of breast milk. So what would make moms choose this genetically modified milk over a traditional carton of milk? Breastfeeding: is this a luxury for the privileged few? In America, work demands often prevent new mothers from successfully breastfeeding their infants. Twelve weeks of maternity leave is standard in the US.